When we look at what can be broadly classified as “towable” or non-motorized units there are all sorts of variety and nuances can that can be introduced. The long and short of it is that we do provide travel trailer insurance for all sorts units including conventional travel trailers, fifth wheels, toy haulers, and more. In most states we can provide travel trailer insurance for units up to $200,000 in value. Below is how we define each of our insurable travel trailers. Conventional Travel Trailer Insurance – A conventional travel trailer is one that is towed by bumper or frame hitch. It must include living quarters that include bathroom, kitchen, and sleeping facilities among other requirements. They can be stationary, but there are state limitations. Fifth Wheel insurance – Fifth wheels are distinguished by their gooseneck hitches that are designed to extend into the bed of a truck, and connect to the ball located in the center of the bed. Similar to conventional travel trailer these must have living facilities, can be stationary subject to limitation. Fifth wheel trailers have several advantages over conventional travel trailer as the goose neck hitch offers better load transfer and weight distribution than bumper hitches. Consequently, there is increased stability resulting in better operator control and safety. Fifth wheels can be hauled by pickup trucks, but also have the versatility of being pulled by medium duty tow unit which are semi-trucks that have been modified to pull fifth wheels. Toy Hauler insurance – Toy haulers can be of the bumper pull or fifth wheel variety. They must include living quarters, but unlike traditional travel trailers or fifth wheels they also include storage space for items such as ATVs, Motorcycles, or all sorts of things. 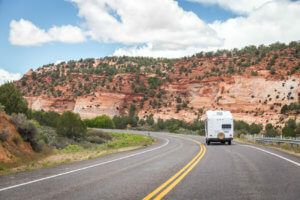 Regardless of the type of travel trailer you have, the RV Insurance Professionals at Gila Insurance Group can probably insure it. When it comes to your RV, auto insurance isn’t good enough. You need specialty RV insurance coverage, and one of the most important things you get with a specialty policy is unique RV Loss Settlement Options. Below is a brief explanation of each of the options. Actual Cash Value – This is the auto insurance option and in some cases its the only thing you can get. In an actual cash value situation you get the current value of the RV. Meaning you are subject to depreciation. So even if you bought a new unit, you may get significantly less than the purchase price. This is the cheapest option when it comes to premium, but is not the greatest when it comes to a claim, as it pays out the least. Total Loss Replacement – If you have a total loss, Total Loss Replacement will replace your unit with a new unit. After a while, you will get the purchase price guarantee. Wait, what? Remember the cost of a new unit will increase every year. 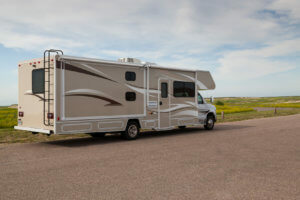 So total loss replacement would ensure you get a new unit for the first several years (sorry for being vague it varies by company), after the first several years you would get the purchase price of the original unit to go towards the cost of a new unit (which again, may not cover all of it because prices of RVs go up every year). Purchase Price Guarantee – Purchase Price Guarantee protects you against deprecation. With this option you would get what you paid for the original unit (less the deductible) towards the cost of a new unit. Unfortunately this option has lots of rules that vary by carrier. But some general rules include the fact that this coverage is not available to every RV, and must be applied soon after you buy the unit. Also, the coverage may drop off and will no longer be available after a certain number of years. With this option you premium will increase each year, as your unit gets older. Unfortunately switching a new company with a lower premium means that you will probably lose this coverage and only be able to get Actual Cash Value. Agreed Value – In some cases you might have an older unit that is worth more than the actual cash value because you have refurbished it. In these cases you will be asked to provide pictures and other proof of the higher value. Then you and the company can agree on a value that will be paid in the event of an accident. Insurance is a balance, premium on one side, and payout on the other. In some cases the age of the RV will determine the loss settlement, but in other cases understanding the RV Loss Settlement Options available to you can save you a lot of headache in the event of a claim.